Perfect Recover Balm is a protective cream for oily or troubled skin, skin with trouble marks, and couperose skin. It creates a healthy looking skin tone with an instant soothing effect and excellent coverage. It is very effective for soothing reddish skin after a trouble treatment. Best for Oily and troubled skin,skin that requires soothing and calming or anyone with slightly Oily skin. •Skin that has acne, psoriasis, eczema or other dermatological problems. For skin protection and natural-looking coverage, lightly pat a small amount of product over entire face in the final stage of basic skin toning. The non-artificial color of natural ingredients enables this product to be used as a foundation. 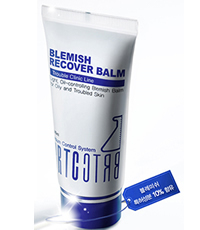 This entry was posted in Uncategorized and tagged BRTC RECOVER BALM, Fr3b Singapore’s 1st Sampling Concept Store, Fr3b.com, free beauty samples, Free giveaways, free samples, freebies, S’pores 1st Sampling Concept Store, singapore free beauty samples, singapore’s 1st online sampling platform. Bookmark the permalink.